Mayne Stage continues to introduce new acts to its star-studded fall roster including the addition of Drop Steady at 7:30 p.m. September 19, Ensemble Dal Niente at 7:30 p.m. October 13, Johnny Flynn at 7 p.m. October 16, and Jaill at 9 p.m. October 29. Tickets for the Drop Steady show are on sale now. Tickets for all other shows are available Friday, September 10. Purchase tickets at http://www.maynestage.com/ or (773) 381-4554. Drop Steady makes its Mayne Stage debut Sunday, September 19 with opening guest Tracer Bullet at 7:30 p.m. Formed in the fall of 2008 on Chicago's South Side, Drop Steady is a six-piece band hailing from across the United States and the Caribbean. Inspired by the traditional roots music of Jamaica, Drop Steady blends the sounds of reggae, ska, soca, dub and soul into a sonic cocktail guaranteed to awaken even the heaviest of dancing feet. 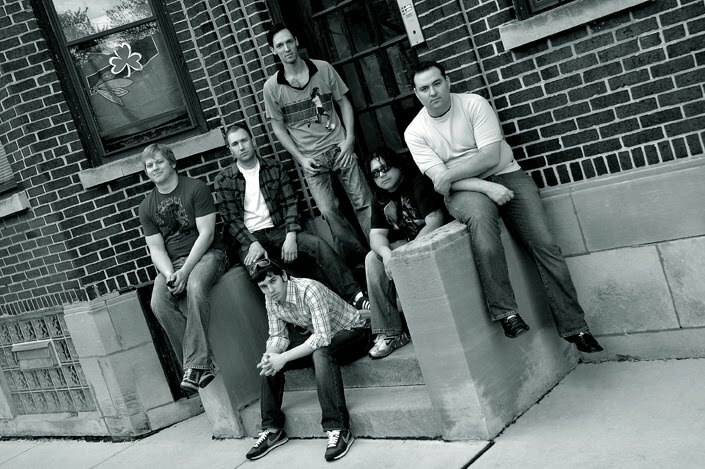 Combining a fresh diversity of musical talent, Drop Steady has already graced some of Chicago's biggest stages, as well as being declared the winner of Harry Caray's Battle of the Bands 2009. Known for their raw on-stage energy and explosive live performances, Drop Steady captivates audiences with their soulful melodies, intricate harmonies, and powerful, driving rhythms. Drop Steady's goal is pure and simple – MAKE 'EM DANCE. Don't miss Drop Steady at Mayne Stage Sunday, September 19 with opening guest Tracer Bullet. Doors open 6:30 p.m. Tickets for the show are $10 and are available at http://www.maynestage.com/ or (773) 381-4554. Classical experimental group Ensemble Dal Niente appears at Mayne Stage Wednesday, October 13 at 7:30 p.m.
Just back from its award-winning performance at the 45th International Summer Music Course in Darmstadt, Germany, Ensemble Dal Niente kicks off its 2010-11 season at Mayne Stage with a double-header featuring music by emerging Americans and established Europeans. The first set, entitled “How About Now?”, features the varied styles of America's emerging composers: the New Downtown meets influences of European modernism, where the piccolo meets the electric guitar. The second set revisits Dal Niente's lauded performance in Darmstadt, Germany, where the group will present dangerously quiet music by Mark André and Hans Thomalla. Ensemble Dal Niente plays Mayne Stage Wednesday, October 13. Doors open 6:30 p.m. Tickets for the show are $15 and are available at http://www.maynestage.com/ or (773) 381-4554 September 10. 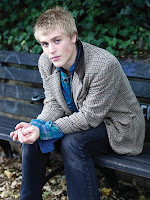 British singer/songwriter Johnny Flynn makes his Mayne Stage debut Saturday, October 16. The addition of Flynn’s show moves previously-scheduled Old Canes to 10:30 p.m. Saturday, October 16. Flynn's music is brimming over with heart, soul and intelligence. Drawing on diverse influences, including The Pixies, Vaughn Williams and anti-folk pioneer Dianne Cluck, Johnny draws on a century's worth of folk, blues and country to create a sound that dwells profoundly in the now. Acknowledging his debt to these musical traditions but never being overwhelmed by them, Flynn offers an alternative of substance to those who have grown sick of flimsy singer songwriters and their inane observations. Flynn plays Mayne Stage Saturday, October 16. Doors open at 6 p.m. Tickets are $15 and go on sale September 10 at http://www.maynestage.com/ or (773) 381-4554. Garage rock band Jaill plays Mayne Stage Friday, October 29 with opening guest Team Band. Doors open at 8 p.m.
Vincent Kircher, Austin Dutmer, Andrew Harris and Ryan Adams are a somewhat sneaky, rarely sleazy group of guys from Milwaukee, Wisc. Together, they are Jaill, a self-described psych-pop combo who play with undeniable guts. The two had struck on a winning formula: up-tempo, guitar-driven twang-twee with punk attitude courtesy of Kircher’s deeply wry lyrics, disarmingly cheerful at surface level. However, dive into the lyrics and things get weird. Jaill hooks the ears with insistent, upbeat pop and twanged-up garage elements which grow deliciously darker upon closer listen. The band went through several lineups trying to bring the recordings to the stage. The 2006 addition of bassist Andrew Harris was the perfect complement to Dutmer’s Animal-esque drumming, and with his walking bass and deep-knee bends, the band’s backbone was formed, solid and bold. Don’t miss Jaill at Mayne Stage Friday, October 29 with opening guest Team Band. Doors open at 8 p.m. Tickets are $10 and go on sale September 10 at http://www.maynestage.com/ or (773) 381-4554. The Outbreaks, a Chicago rock band, opens for Colin Tyler on September 16. The band has evolved from a four-piece rock band that sought a piano player to accompany the rabidly infectious sound on their first album to a five-piece unclassifiable band finalizing their first full length album. Drawing upon their wide range of influences, from The Ramones and Frank Zappa to The Beach Boys and The Beatles to Motown and Mozart, The Outbreaks possess a sound as unique as each member of the group. For more, visit http://www.theoutbreaks.com/. Following The Outbreaks, see Johnny Sullivan, a Chicago-based indie rock artist. Learn more at http://www.myspace.com/johnlsullivan70. Tickets are $7 at http://www.maynestage.com/ or (773) 381-4554.